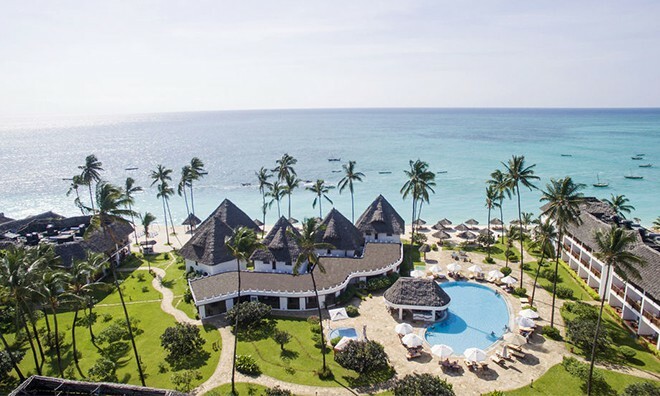 At this resort in Zanzibar there are ninety-six pool view rooms and sea view rooms, there are also two suites with separate lounges and bedrooms that open onto the stunning Nungwi beach. There is wifi in the bedrooms at DoubleTree by Hilton Resort and has a wonderful plush up mattress, down comforter and luxurious linens. There is also a Sweet Dreams alarm clock radio with MP3 connectivity and tea & coffee making facilities. The rooms either have a terrace or balcony, pool and sea views, a mini fridge, room safe, hairdryer, air-conditioning, shower (bath in some rooms), Crabtree & Evelyn guest amenities, telephone, flat screen satellite television and iron. 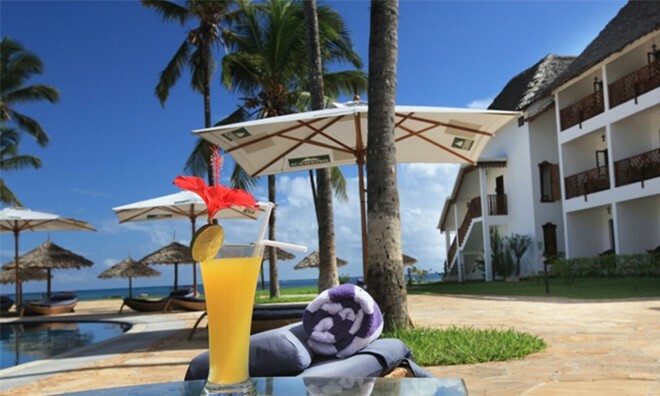 At this Zanzibar beachfront resort there are a number of facilities and services that will make your stay a dream. With a 24-hour business centre, Wifi in all areas of the resort, a laundry service, babysitting, gift shop, currency exchange, secure parking and a 24 hour fitness centre, what else could you ever need. There is a conference centre that can seat up to 100 delegates with hardwired and wifi Internet. 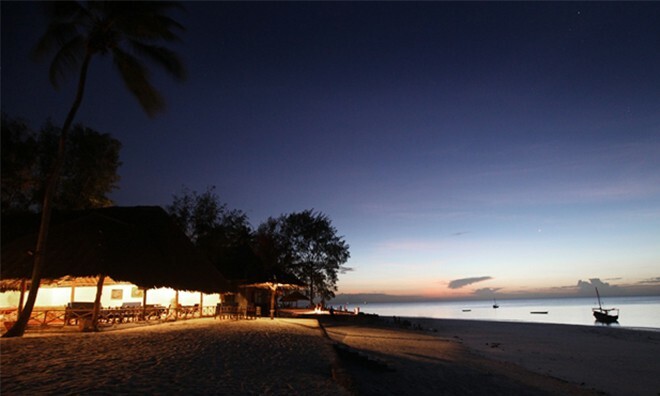 At Fisherman Bar & Grill indulge in delicious fusion and international cuisine as well as Shisha aromatic tobacco, or go to Ngalawa Restaurant to enjoy live, traditional entertainment and try a sumptuous local Zanzibari dish right by the beach. Dolphins Pool Bar offers snacks, salads, pizzas and drinks. 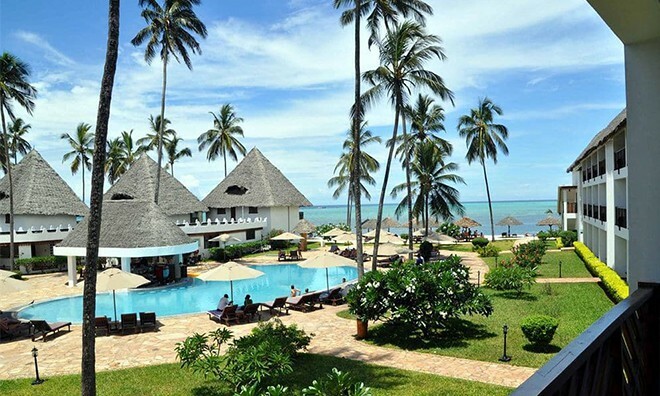 At this hotel in Zanzibar there are even themed evenings where a themed dinner will be held on the beach or at the pool and enjoy live entertainment daily. Guest can take a dip in the lovely freshwater rim flow pool or enjoy sweating it out in the fitness room, get a massage, play some volleyball or even a spot of water polo. There is also beach football, snooker, darts and table tennis. 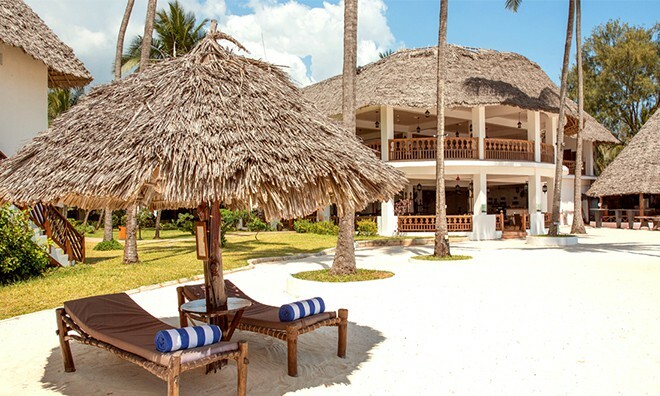 At this Zanzibar resort there is a wide variety of fun activities to do including Diving, snorkeling, sailing, parasailing, Jet Ski excursions, deep-sea fishing and so much more. 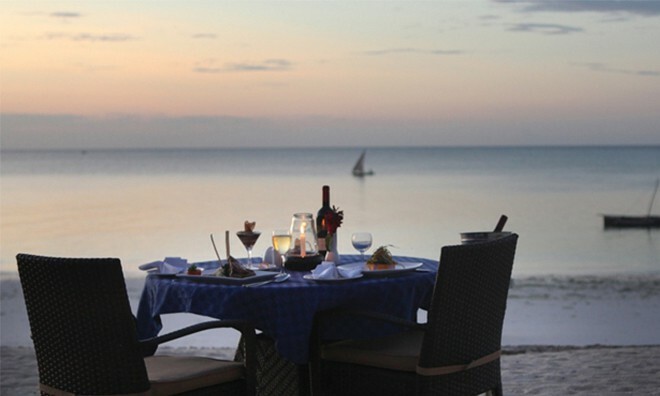 DoubleTree Resort is a wonderful wedding venue in Zanzibar as the couple can say their vows with magical island backdrops and enjoy this amazing day on the beach or in one of the wonderful function rooms. At DoubleTree Resort by Hilton Hotel feel welcomed from the moment you arrive with a delicious fresh chocolate chip cookie and then let your mind and body go as the tranquil surroundings soothe you into relaxation. Enjoy sipping on tasty cocktails while you relax by the pool. 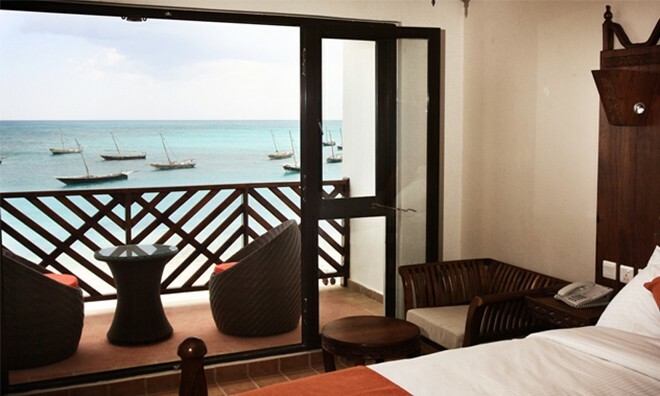 Fall in love with this Zanzibar holiday accommodation as you lie back on a sunbed on the beautiful beach watching the ocean glistening. 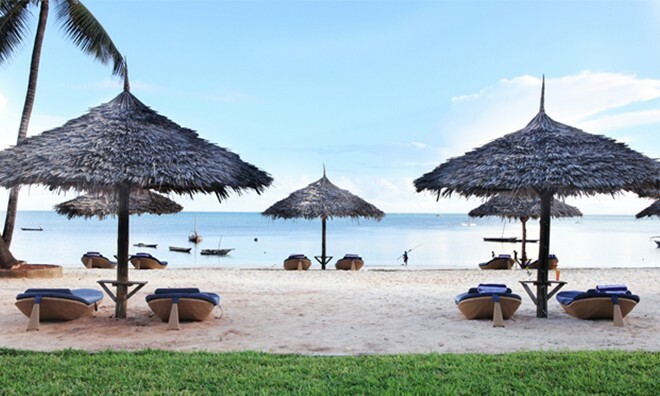 When staying at DoubleTree Resort in Zanzibar on the north coast, venture out to Nungwi village where there are stunning beaches and views. Stroll through the local fish market and watch the locals making dhows. Take a tour to Stone Town and view the amazing traditional architecture and designs, learn about the rich history in the Palace Museum or walk through the local market buying trinkets to remember the amazing Zanzibar. Enjoy an island cruise or a trip to Prisoner Island, there is so much to see and experience on this spice island that a trip to Zanzibar will be a holiday to remember. 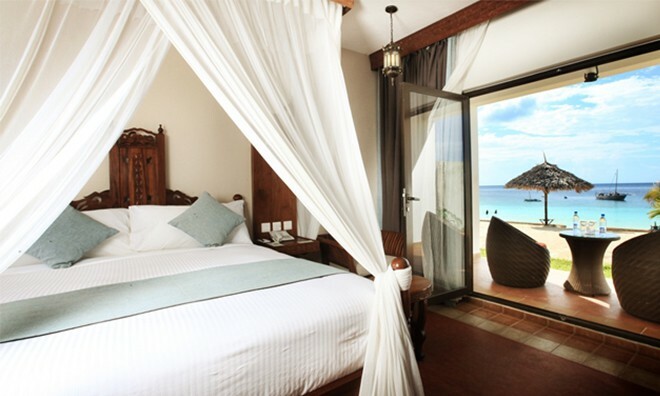 Why not share your experiences and reviews with the community and write a review for DoubleTree by Hilton Zanzibar.